Oppo has expanded its portfolio with the release of new A series handset – the A5s . The A5s will also be marketed in specific global markets as AX5s. 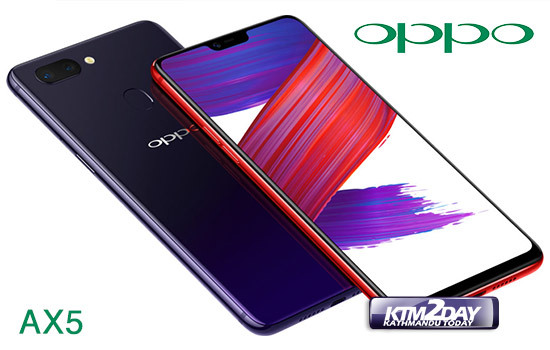 Based on the original A5 smartphone released last year Oppo has added new features such as waterdrop-style notch display and is driven by MediaTek’s Helio P35 chipset, which runs at a slightly higher clock speed compared to Snapdragon 450. 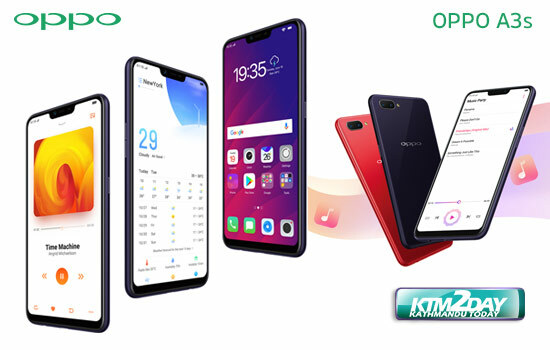 The Oppo A5s comes with a 6.2-inch display with a waterdrop to accommodate the selfie camera. The panel has HD+ 720x1440p resolution . 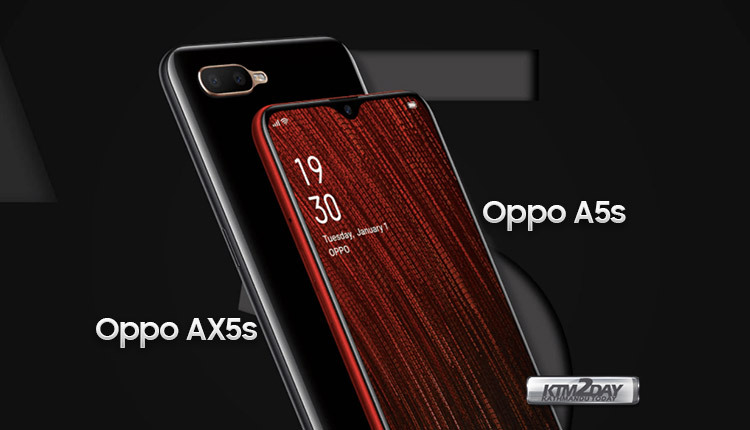 The smartphone is powered by a Helio P35 chipset by Mediatek and paired by a 3GB RAM with 64 GB of onboard storage which can be expanded further using microSD card upto 256 GB. On the camera department, the Oppo comes with dual setup camera at the rear panel . The setup included a 13 MP primary camera and a 2 MP secondary shooter with f/2.2 and f/2.4 apertures, respectively. The selfie camera with 8 MP f/2.0 shooter is given for snapping selfies and video calling. On the software side the Oppo A5s comes with a bit outdated Android Oreo 8.1 and Color OS 5.2 UI on top. The entire setup depends on a powerhouse of 4,230 mAh battery with no fast chraging as VOOC is only featured on premium lineups. For security, the phone features a fingerprint sensor on the back panel. The device measures 155.9 x 75.4 x 8.5mm and weighs 170 grams. 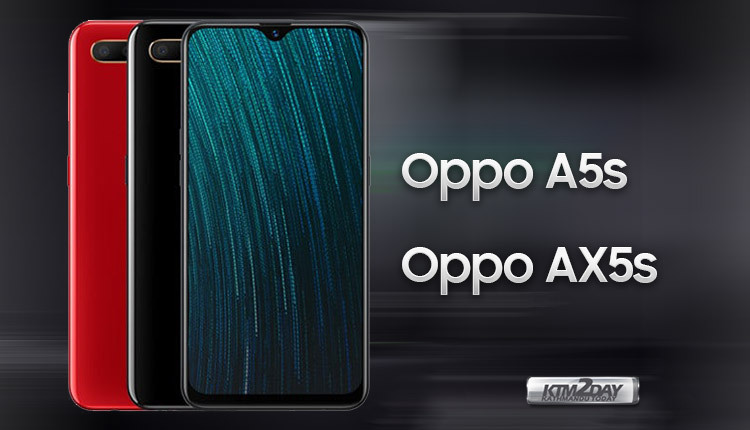 The OPPO A5s comes in new colour options – Black and Red, instead of Blue and Pink. The price and availability of the handsets hasn’t been confirmed yet.